Headlines that Shakespeare used cannabis for inspiration are making waves on the web, based on a new report by an anthropologist who claims the famous English Bard makes reference to “the noted weed” and “compounds strange” in his writing. Parsing the “news” reveals that no new conclusive evidence was found to link clay pipes dug up in Shakespeare’s garden to the writer, though South African anthropologist Francis Thackeray and his colleagues are still trying to make the case that Shakespeare was a fan of the sticky icky. In 2001, Professor Thackeray, from the Institute of Evolutionary Studies in South Africa, spearheaded a chemical analysis of pipes and stems found in Shakespeare’s garden alongside similar 17th century pipes, fragments, and residues. They used a technique called gas chromatography mass spectrometry (GCMS), that can identify different substances. GCMS is utilized in investigations ranging from drug detection to explosions, and is a favorite method of airport security. The results of that study showed pipes from Shakespeare’s garden had cannabis residue, while other pipes from the era also had cannabis, nicotine, and coca leaves, which were introduced to Europe following expeditions to Peru in the 1500s. People in Elizabethan England smoked a variety of substances, cannabis amongst them—just like people have, around the world, for thousands of years. There was no evidence that the pipes from the Stratford-Upon-Avon property belonged to Shakespeare. The Internet, like Thackeray, has chosen to ignore this. Dude, this is freshman year-level stuff. The reach is so over-the-top it’s amazing that its been covered anew by everyone from The Telegraph to TIME. In Shakespeare’s day, the word “weed” was most often used to refer to clothing, or “weeds.” Shakespearean scholar James Shapiro derides Thackeray for a “really lame interpretation,” pointing out, “The poem is about dressing up language in a certain way and you really have to be insensitive to the poem to force the reading [to be about marijuana use].” While it’s certainly possible that Shakespeare lit up, this is not the stuff that valid scientific research is made of. “Literary analyses and chemical science can be mutually beneficial, bringing the arts and the sciences together in an effort to better understand Shakespeare and his contemporaries,” writes Thackeray. While the sentiment is nice, it’s frightfully easy to cherry-pick from texts in order to build an argument that has zero correlation with what a writer was thinking or doing. 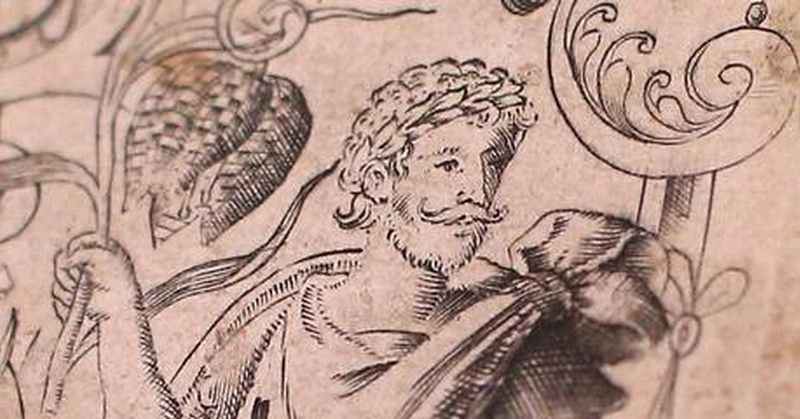 And ultimately, does it matter if Shakespeare liked to smoke? Our concerns and interpretation of the topic are dreadfully 21st century. The Internet doth protest too much. The author is dead: let’s leave his bones to lie in peace, ganja or no.